Used to control up to 96 LEDs at up to 100 milliamps per channel, this is a high count decorative lighting controller used for console display lighting, patterned optic fibre replacement and the like. 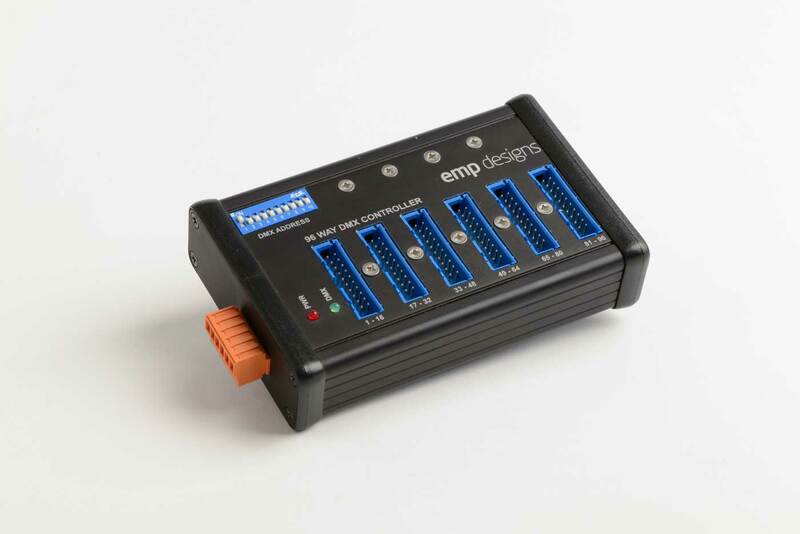 Addressing is done via 10 way dip switch and connections to the module are easily terminated with IDC connectors, vastly reducing the wiring labour and allowing fast implementation of the system. These are examples of our controllers and sequencers, contact us and we’d be happy to discuss any configuration you may need.